LA Raqs presents "History Through Bellydance"
On Friday, April 28th, another great lineup of dancers gathered for the LA Raqs Spring "Fusion" Hafla! The show opened with a beautiful performance by Georgette to music from her home country, Venezuela. We also welcomed a newcomer to our haflas, Chloe, for her first performance with us. Other performers included Alia Gamal, Belen, Jenn and Friends, Shelly, Heavy Metal, and LisaMarie. Workshop teacher Stefanie Mari and special guest/workshop teacher Amy Sigil also performed that night, rounding out a very diverse evening that truly showed off the many different forms of bellydance fusion. Later in that same weekend, Stefanie Mari taught a Contemporary Bellydance Fusion workshop and special guest Amy Sigil taught two workshops for local dancers that helps introduce them to ITS and push their artistic boundaries. Get a sneak peek below with some photos from the evening and a video with glimpses of each performance. On Friday, November 25th, we gathered at Movement Art Space for the last LA Raqs Hafla of 2016! These dancers brought all of their creative ideas to life to honor the seasons and help us end the year with a bang. We again had all styles represented, including fusion, folkdance, American Cabaret, Raqs Sharqi and ATS. Our November performers included Kamala Almanzar, who choreographed a fusion group piece; Lumina Dance Company; a newcomer to our haflas, Brianna; the Qabila Folkdance Company; Eden Lighthipe; Shana; Galadriel; Amber Ray; Jenn Aguilar; Bella Luna; and MAS BDT. On Friday, July 22nd, we celebrated the theme of "Childhood" with performances of all styles of bellydance that shared childhood memories, inspirations and reminisces. We also had some special out of town guest performers, Gene Banner and Frank Farinaro, who joined us as part of their weekend in Los Angeles for Rakkas, the annual all male bellydance show produced by local dancer Mark Bissell. Our July performers included Aubre Hill, Dusty Paik, Cera Byer, Malantha, Jeanie, Katya Malaya, Jamilla Soul, Mark Bissell, Stefanie Mari, Gene Banner and Frank Farinaro. 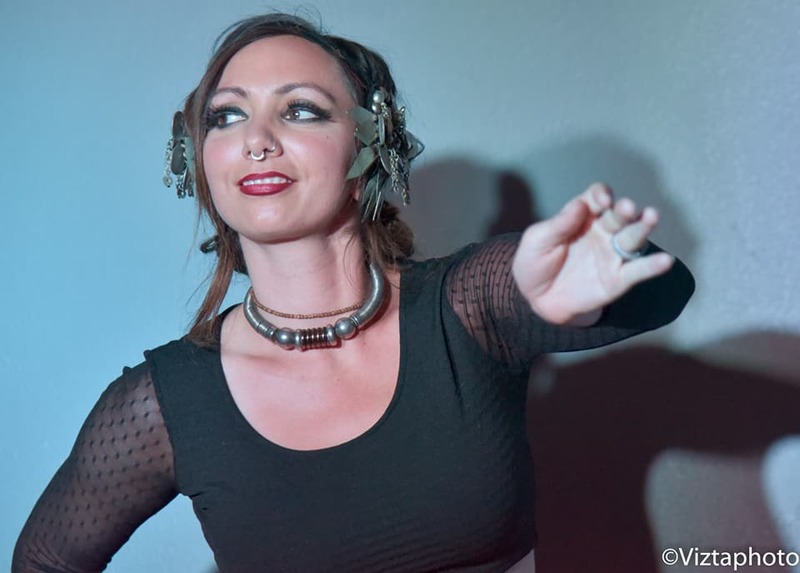 The Fourth Friday of every month gathers bellydance artists from around LA, as well as special guests, for an evening of diverse bellydance styles all exploring a theme for creative inspiration. This is where artists can push, get feedback, try out new ideas, see what works as well as what may not~ all in a supportive environment meant to foster creativity and expression. Lineup changes regularly. If you are interested in performing, please contact Aubre at info@laraqs.com with a synopsis of your piece and what date you are interested in. Performance spots are first come, first serve and a waiting list will be created once full with those waiting given a chance to perform at the next hafla space permitting. Please limit sign ups to only one hafla at a time.